After hearing this you will want to shout, “Shut up and take my money!”. Yes folks, USB Storage Device Giant SanDisk has brought to market the premium MicroSD card which has the storage capacity of 200GB. The future is here people! 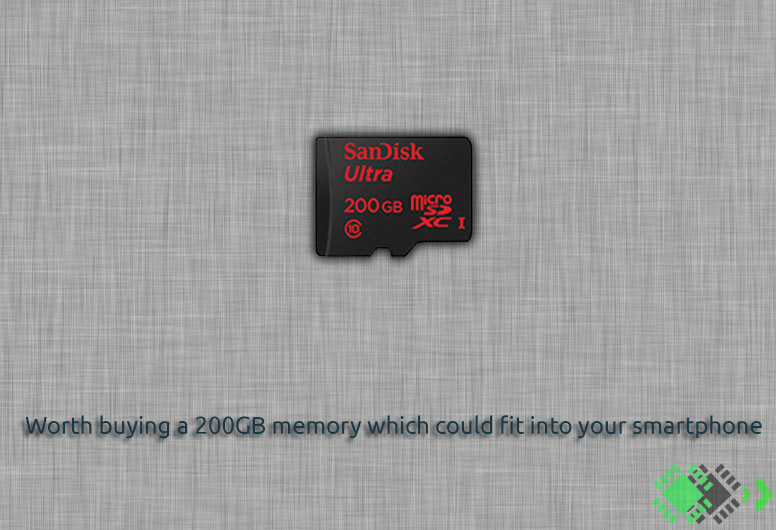 The MicroSD card was specially designed for Android-based smartphones. It is tested that the durable microSDXC card can carry upto 20 hours of Full HD videos and transfer 1200 photos a minute which is equal to 90MB per second in a phone-to-PC connection. Unnecessary but yet for safety, the card can perform in extreme condition and is water-resistant, shock-proof, temperature proof, X-ray and magnet-proof, stated by SanDisk Corporation. The card was rated class 10 if it gives you any comfort. This package comes with a SD adapter for MIL(Point n Shoot, DSLR) cameras which will be mostly beneficial to professional photographers. This little piece of wonder cost about $400 which is still high as a microSD genre, in my opinion. Whatever if you believe-“Size does matter” and you need something bigger for your phone or camera then you don’t have to wait longer. 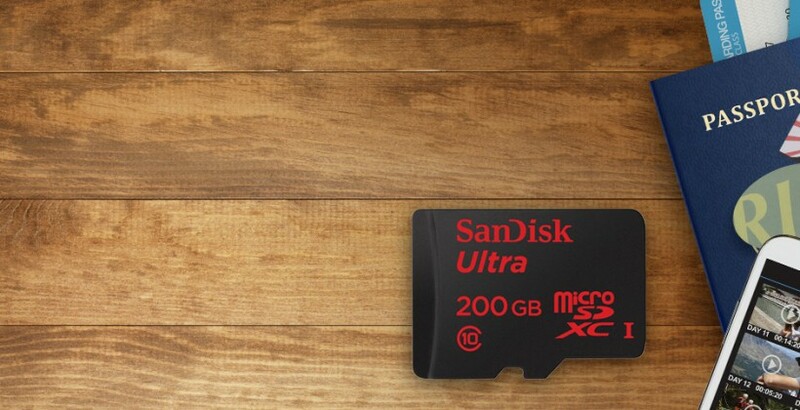 SanDisk Ultra 200GB microSD card is coming to market Q2 this year. Let your shooting, saving and sharing never stop!